Alexander's village is a non-HOA neighborhood in the Lake Highlands area of Dallas, Texas (USA). The neighborhood is triangular in shape and is bounded by Abrams Road, Fair Oaks Avenue, and White Rock Creek. Walnut Hill Lane runs directly through the neighborhood. Alexander's Village is about 4 miles (6.43 km) from White Rock Lake, which is accessible via Fair Oaks Park bike trail along White Rock Creek that directly connects the neighborhood, the lake, and other park facilities along White Rock Creek. Students from this neighborhood would expect to attend Merriman Park Elementary School, Forest Meadow Junior High School and Lake Highlands High School in the Richardson Independent School District. 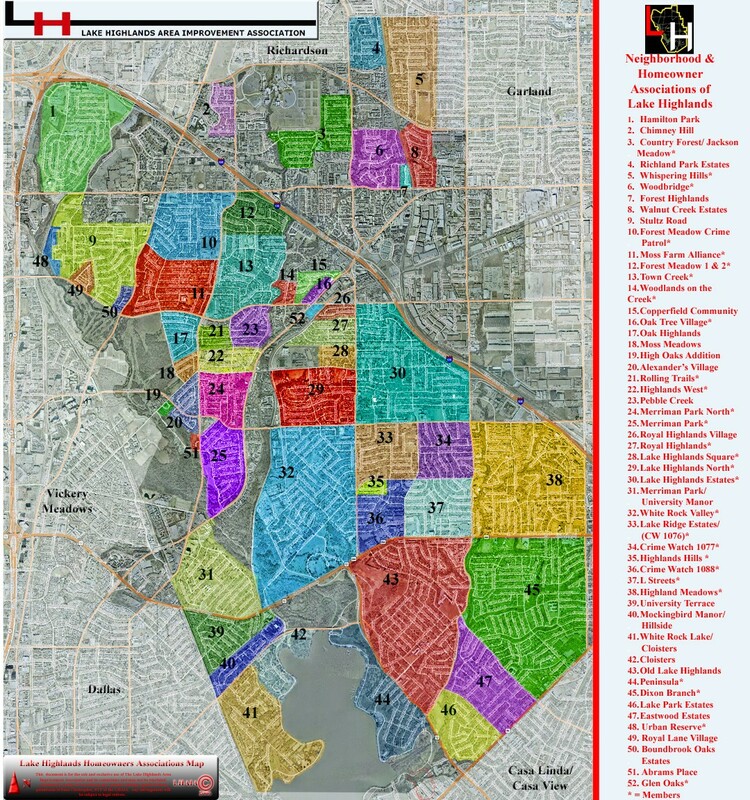 ^ Lake Highlands Area Improvement Association - Neighborhood map Archived 2007-09-28 at the Wayback Machine. Retrieved on 6 April 2007. This page was last edited on 9 October 2018, at 21:22 (UTC).